The Chief Executive Officer of Dalex Finance, Mr. Ken Thompson, has commiserated with the family of Mr. Noah Teye Appiah, an employee of the finance firm who was stabbed to death on Tuesday, February 5 by suspected robbers in Kumasi. Mr. Appiah was accosted and stabbed in the evening of Tuesday around the Kumasi Children’s Park in the Ashanti Region. According to the family, the 31-year old was attacked by some unknown assailants while on his way home from work. 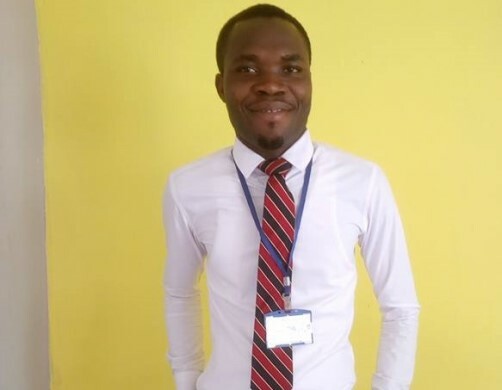 Medical officers at the clinic subsequently referred him to the Komfo Anokye Teaching Hospital (KATH), where he was pronounced dead the following day, Wednesday, 6th February 2019. The assailants reportedly took away his mobile phones and other belongings. Relatives of the deceased say they received the death with shock. The Police say they’re working hard to ensure that the perpetrators of the dastardly act are brought to book. “We are also working closely with the family to ensure that our colleague is given a befitting burial. Such a great loss to the Dalex family” the company statement noted. Dalex Finance, established and licensed by the Bank of Ghana (BoG), is wholly Ghanaian owned and operated. Over the last four years, the company’s turnover has grown by over 100% on a compound annual basis. Dalex Finance has a nationwide operation. It employs over 3000 persons, has 10 branches and 120 sales points.